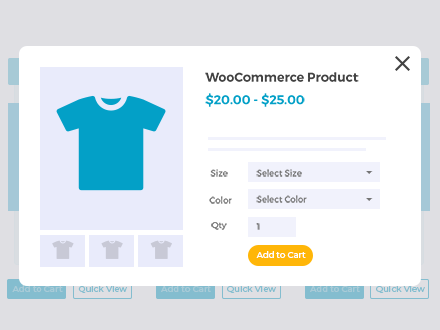 WooCommerce Product Table and WooCommerce Quick View Pro officially support the official WooCommerce Product Add-Ons WordPress plugin. This is an excellent way to add extra options such as text fields, checkboxes and radio buttons to a product table or quick view lightbox. Today I’ve been testing with the free WC Fields Factory plugin after a customer mentioned that it works nicely with WooCommerce Product Table. I was surprised that the two plugins work together straight out of the box because most add-ons plugins require extra development to integrate with product tables. It also works with our other plugin, WooCommerce Quick View Pro. You can use WC Fields Factory to add various types of extra option to your products. For example, it supports text fields, number fields, radio buttons and checkboxes. You can use it to collect extra information from customers (for example to personalize products). Alternatively, you can charge extra fees for each option (e.g. to sell extra pizza toppings for $1 extra each). As a result, WC Fields Factory is a handy alternative to Product Add-Ons. While it’s not an official integration and we don’t guarantee compatibility, this article will document which features of the plugins work together. Keep reading to learn about all the options. Adds a text entry field to the add to cart column in WooCommerce Product Table. Customers enter a text message and it will pass through to the cart, checkout and order confirmation emails. For example, if you’re building a WooCommerce restaurant order system then customers can use this field type to enter any special requests for each dish. These two field types are similar. ‘Text’ just adds a small box for entering 1 line of text. ‘Textarea’ adds a deeper box for entering more text. Use this field type to allow customers to add a number for each product they are ordering. Checkboxes and radio buttons are a fantastic way to add extra options to WooCommerce products. For example, a restaurant order system can add a radio button to indicate whether the customer wants the vegetarian option; and a checkbox to add extra pizza toppings. The only problem is that the styling wasn’t perfect straight out of the box (I use the Storefront theme). You would need to write some custom CSS to remove the extra bullet points. Since WooCommerce Product Table officially integrates with the official Product Add-Ons plugin, you can avoid this by using that plugin instead. However, the checkboxes and radio buttons in WC Field Factory do work correctly in the product table. The select field type in WC Fields Factory adds a dropdown list to the product, allowing the customer to choose different options. It works correctly in the product table. However, the fields aren’t lined up as nicely as I would like. Given that WooCommerce Product Table supports variation dropdowns as standard, you might be better off using these instead. The color picker field in WC Fields Factory adds a text entry field where customers can add a HEX, HEX3, HSL, RGB value or color name. It’s not a true color picker as the customer needs to know the value and can’t select it from a color wheel. However, it does work in the product table. I don’t know of any alternative plugins that allow you to use date pickers or file uploaders in the quick view or product table either. The only way to have these features is therefore to list products in a table without an add to cart column, and allow customers to select a date or upload a file on the single product page. The product title links to the single product page, and you can also add a ‘button’ column to make it even more intuitive for customers. 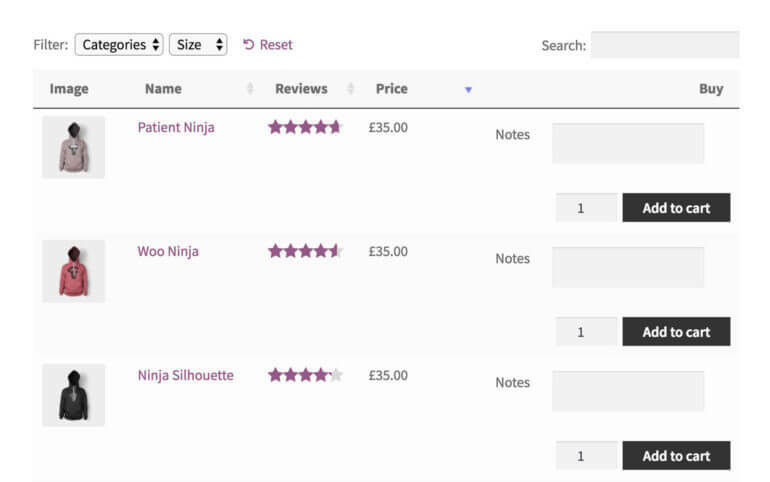 Get WooCommerce Quick View Pro and start creating product tables using the instructions in the ‘Getting Started’ email. Make sure your product table(s) have an add to cart column. This is where the WC Fields Factory fields appear. Install the free WC Fields Factory plugin. Click on the Fields Factory link at the bottom left of the WordPress admin, and create your fields. Make sure you only add field types that I’ve listed as working in the product table (above). The easy way to list products in a one-page order form with extra information and product options. 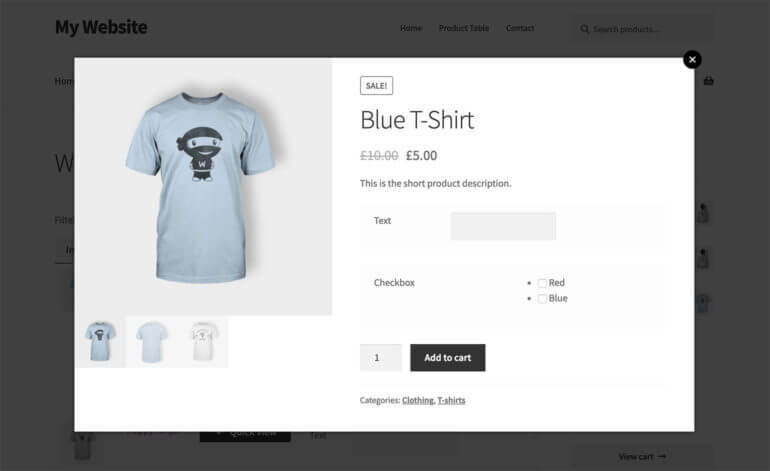 Get WooCommerce Quick View Pro and set it up by following the instructions in the ‘Getting Started’ email. This only takes a couple of minutes. Set up WC Fields Factory by clicking on the Fields Factory link in the WordPress Dashboard and creating your fields. Note: You should only add field types that I’ve listed as working in the quick view (above). 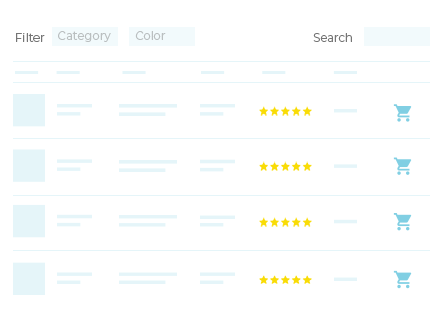 When a customer opens on the quick view lightbox, they can complete the extra fields and add them straight to the cart. Perfect! The quick and easy way for customers to choose options and buy your products. 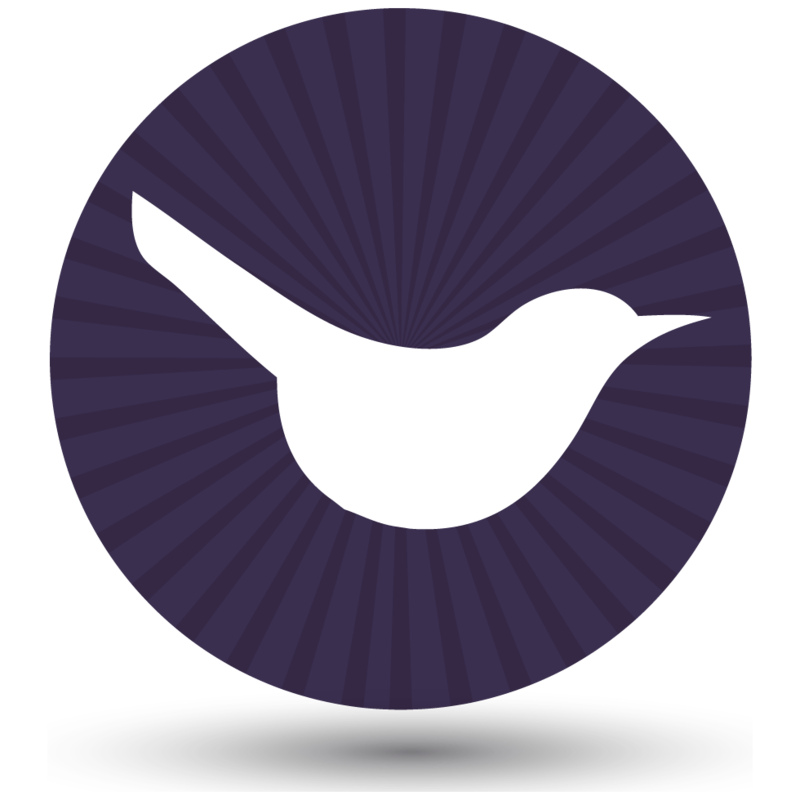 Since we officially support WooCommerce Product Add-Ons, we would recommend this option. It’s created by the makers of WooCommerce itself, so you can be sure it will be around for the long term. We’ve styled the add-ons to look great with WooCommerce Product Table and Quick View, so you’re less likely to have to write any custom CSS to get them looking how you’d like. It’s also worth noting that there’s a strange quirk for variable products in the product table. The text field appears twice in the product table for variable products (presumably once for each variation, as my example had 2 variations). As a result, it’s probably best to use this field type with simple products. Use Product Add-Ons to add extra options to variable products. However, WC Fields Factory is a good plugin and works well with WooCommerce Product Table and Quick View Pro. If you’re using simple products and don’t want to use the official plugin for any reason, then this is a good alternative.